If you like the Tony Hawk series then this is right up your alley. The game is a bunch of fun & has an amazing soundtrack. The graphics are nothing to write home about, but it's so fun you wont mind them. Brings back so much memories! This game came in the mail very quickly in mint condition wow! I turnes this baby on and omg this thing just took me back to 1999. I was blown away at first I sucked really bad because it's been 14yrs since I've played this game. 30 minutes passed I was in the zone lol. This is for gamer who isn't going to take a skate game for serious play. before tony hawk this was the first and still till this day the best skate boarding arcade game ever. 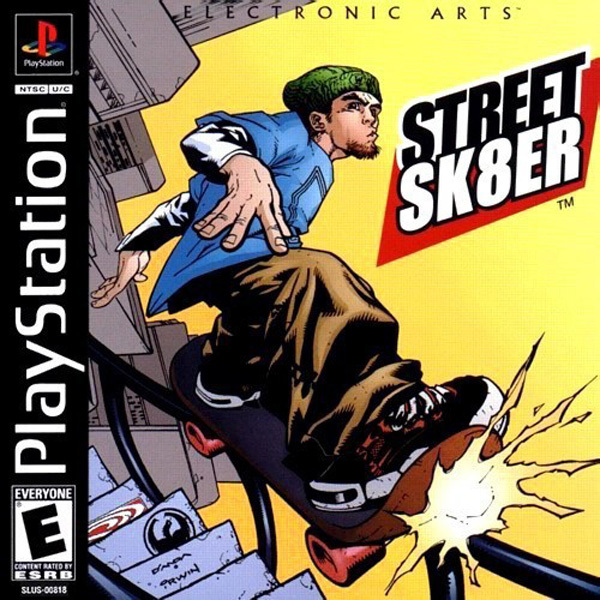 Tony hawk is for serious gamers and trust me you will get upset within minutes where as this game it's non stop fun especially with friends topping each others score. I use to play this game in the summer of 1999 with my cousins. We had a blast, boy do I miss those summer day's. Also if you love the games soundtrack you coukd actually listen to them on your cd player cool feature huh. Anyway this game gets a 10/10. Thanks luckiegames for this game can now relive the good old days. Oh I almost forgot you can play this game on your ps2 and ps3 however on the ps2 you nees a ps1 memory card to save the game.